We're delighted to recommend our Nick Knight at NK Sports Podiatry as the first podiatrist featured in Running Physio Recommends. 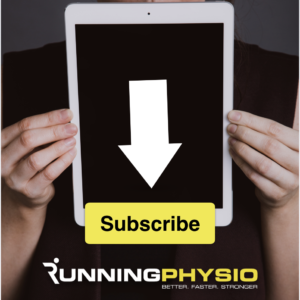 Nick has written an excellent series of articles for the site on the role of orthoses and is resident podiatrist for UKrunchat. NK Sports Podiatry is a dedicated Musculoskeletal and Sports Podiatry clinic, mainly based in Basingstoke, while also providing clinics in Newbury, Southampton and London. Nick from NK Sports Podiatry is a keen sportsman himself and ex-100m runner and understands the frustration in not been able to run or compete in your sport. He now enjoys running, hockey, squash and cycling. Nick has extensive experience in treating all runners from novices up to elite level athletes. He was part of the medical team for the 2012 Paralympics games, helping the elite men at the London Marathon and providing Sports Podiatry care at the ITU World Triathlon events. NK Sports Podiatry will help you get back to sport and running and provide you with all the tools to help stay injury free. In their new Basingstoke Clinic they have access to a fully equipped gym and Slow-motion 3D Gait Analysis. The clinic also has a Physiotherapist to help offer a team approach to your injuries. NK Sports Podiatry work closely with Orthopaedic consultants, Sports Doctors, Physiotherapists, Strength and Conditioning Coaches, Osteopaths and Chiropractors to help you return to your desired level of sport as quickly as possible. Gait analysis and gait re-training, with 3D gait analysis. To make an appointment at the Basingstoke or Newbury clinics please call 01256 520321. For the London clinic please call 020 8502 1777 and for bookings in Southampton please ring 023 8040 3665. Follow NK Sports Podiatry on Twitter via @NKSportsPod and Facebook.